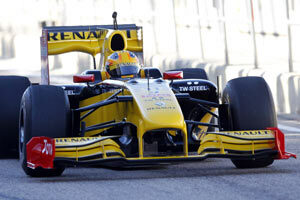 Can a Formula 1 car drive upside down? 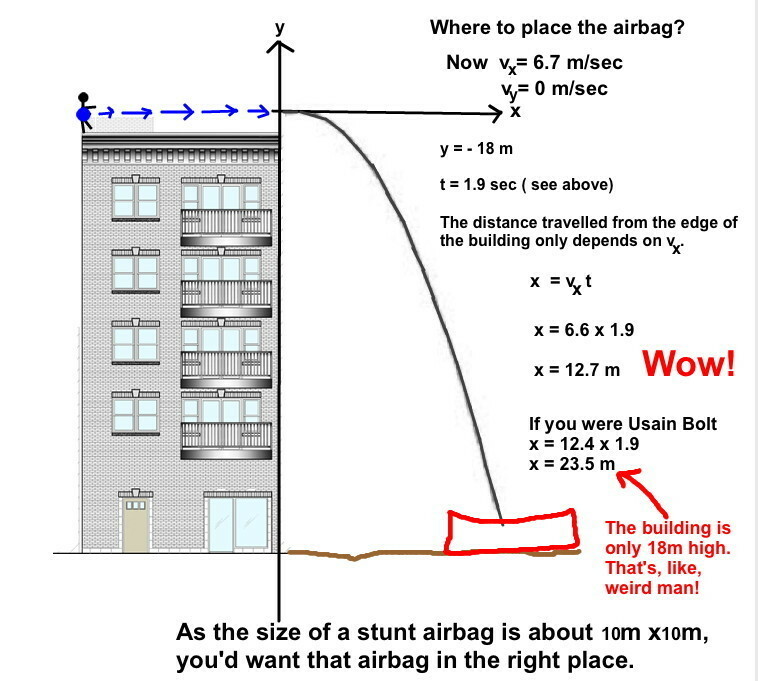 Can an ordinary car fly? Car designers didn’t worry about aerodynamics until the sixties when cars could go fast enough to experience aerodynamic lift, which naturally, reduced tyre traction. 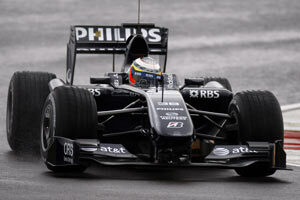 Skirts are added to cars to not only reduce this lift but also create a ‘suction’ (Bernoulli Effect”) under the car. Here is the Chevy ’69 Camaro from Camaro Untold Secrets. At 115 mph ( 185 kph which is not only fast but over street speed limits!!!!!) it experienced a front Lift (L) of 375 lbs or pound force. 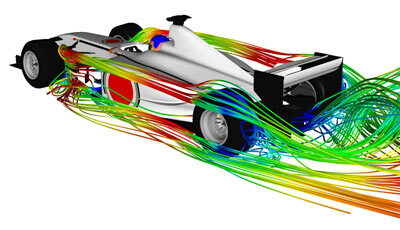 We’ll simplify the aerodynamics and assume this graph is a parabola as follows. 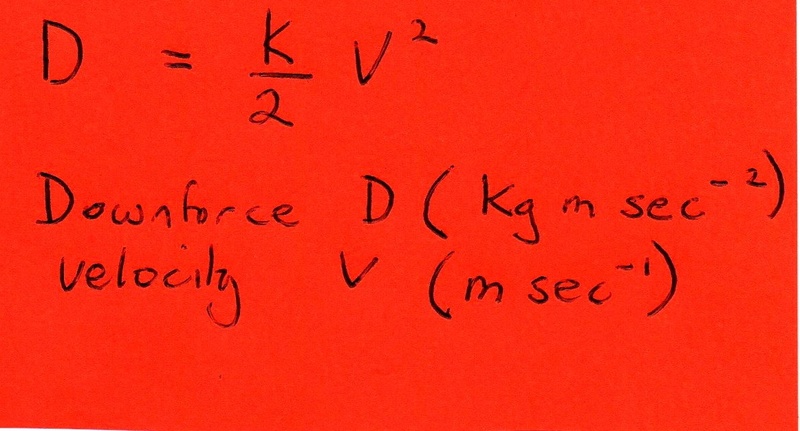 NB: the only units to use in this equation are L (lb force) and v mph. We know the weight of the ’69 Camaro = 3,675 lb. So mathspigs if the ’69 Camaro can go fast enough so that the front Lift equals its weight, it will fly! 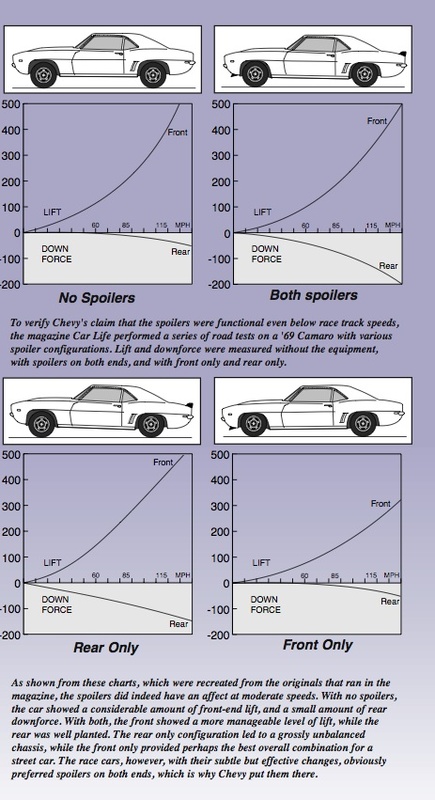 At what speed will ’69 Camaro fly? 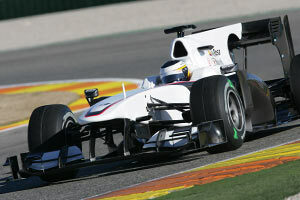 The ultimate design in car aerodynamics is the F1 racing car. The Downforce (D) on the car is created by the front and rear wings, which work in reverse to aeroplane wings pushing down on the car) and the underbody gap which crates ‘suction’ by the Bernoulli effect. 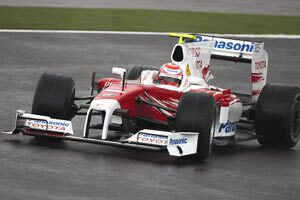 Could the Downfoce (D) on a F1 car exceed its weight so that it could drive upside along a … very long tunnel? I’m thankful to New Scientist (Aerial Glue 20 Jan 2010) for this insight. Now mathspigs you have the mass of F1 car above so you can calculate the speed at which a typical F1 racing car could drive on the roof of a tunnel glued to the ceiling by its own downforce. 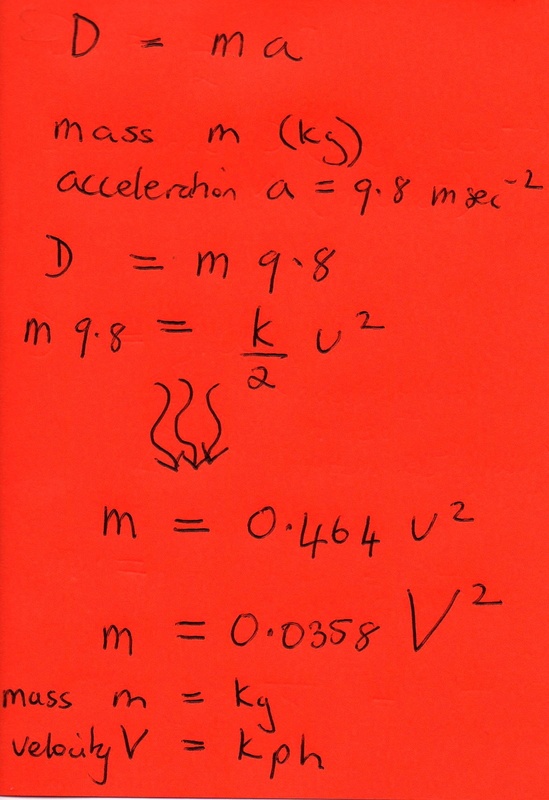 NOTE: This equation only works for a limited range of car mass, m. You can’t reduce m by dumping bits of the car. Likewise, if you add bits to the car to increase m eventually the aerodynamic constant, k, will change. Does the weight of a driver make a difference? Mathspig did stand in the pits in the Australian Grand Prix in Adelaide in the ninties ( with a borrowed ticket) not far from Ayrton Senna (Right. Tragically killed in 1994) and I was shocked to see how small he was. His height is recored at 171 cm but that is Mathspig’s height and he was shorter. Today while some F1 drivers are over 6 ft (183 cm) including Australia’s Mark Webber (Right) most are not tall and, therefore, not that heavy. When the KERS (Kinetic Energy Recovery System), which stores braking energy, was introduced 2009 drivers lost weight to accommodate system. 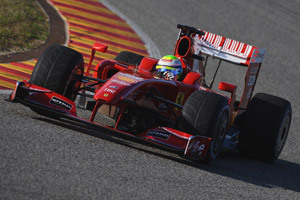 Typically, a driver will lose 5 kg just competing in a Grand Prix. 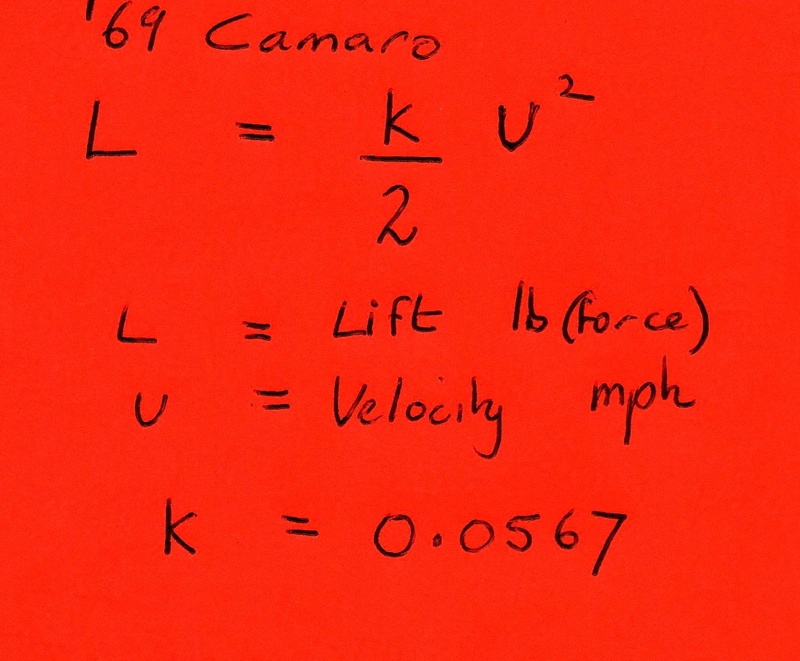 IF the driver dropped 15 kg would that effect the upside down speed of an F1 racing car? Drop the mass (m) value above and see if it makes much of a difference. Or, instead, if your School Principal was driving the F1 racing car ( Assume an average F1 driver weighs 65kg. How much heavier is your Principal to an F1 driver? Guess.) Increase the mass (m) in the above equation by this amount and you can calculate the speed at which your school principal and F1 car would drop off the tunnel ceiling. 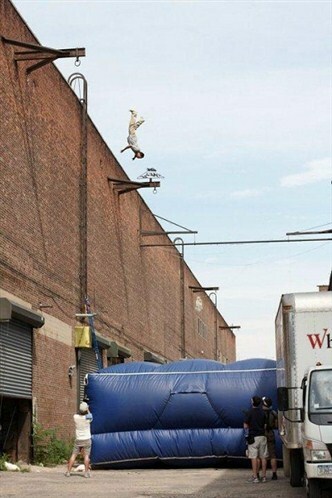 Meanwhile, even Mythbusters hasn’t tested this stick to the ceiling theory. Why? Even the slightest bump on the ceiling could disrupt the underbody ‘suction’ and down goes the $zillion car and driver upside down and at speed. This hasn’t stopped some Youtube mockups of F1 cars driving on the ceiling!!! 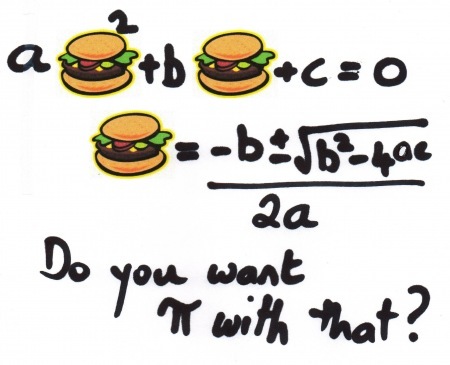 What are maths teachers for, sir? 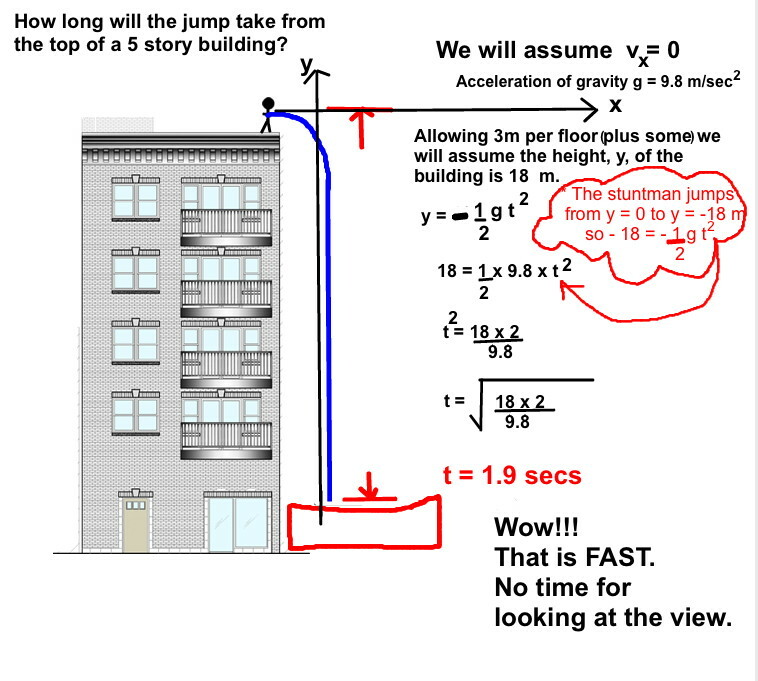 I never thought I’d be enthusing over McAlgebra or McTrigonometry or McX, but this site has been recommended to me by maths teachers and it looks great. Students can view worked examples of maths problems, hear the problems solved step-by-step, work at their own pace and even track their progress through the website. 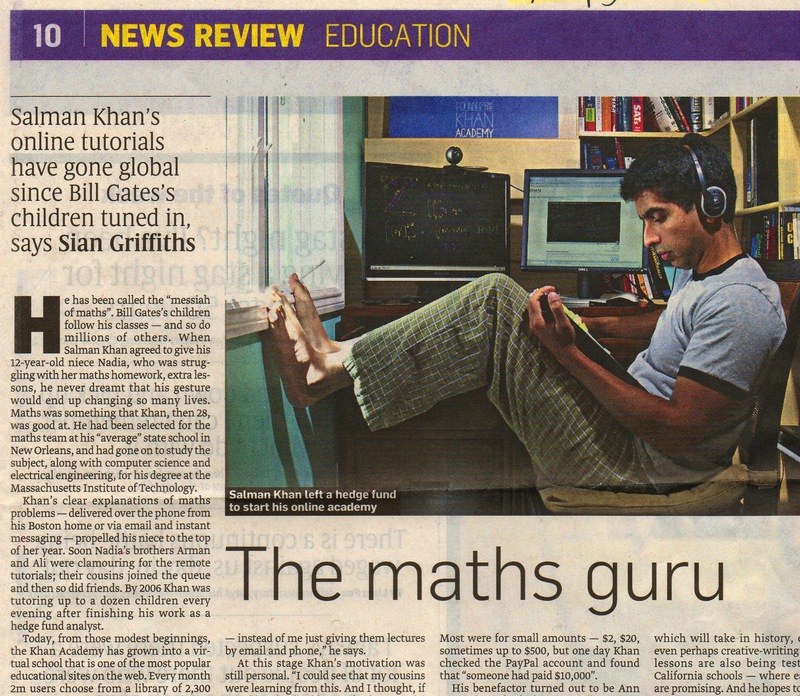 If the entire maths curriculum can be accessed for free on line what ARE maths teachers for? Gather round mathspigs and I will tell you why we need maths teachers. Maths is boooooring for the majority of students. It needs a maths teacher to breath fire into the concepts to make them interesting, relevant and exciting. Otherwise, students feel maths is on a par with re-translating the dead scrolls. Mathspig’s mission is to provide maths teachers with fun, pop-culture based, media-savvy maths to excite students about the whole idea of maths. These topics can be used by maths teachers in the same way retailers use ‘loss leaders’. Get them in the door and you can sell ’em anything…. almost!!!!!! This is how I would use it in the classroom. Get this game up on the Smartboard and call kids up one at a time to have a go!!!!!! It’s fun. And it is FREE x FREE = FREE !!!!!!!! You are currently browsing the archives for the quadratic fn category.